on June 5th, 2012 at 7PM. 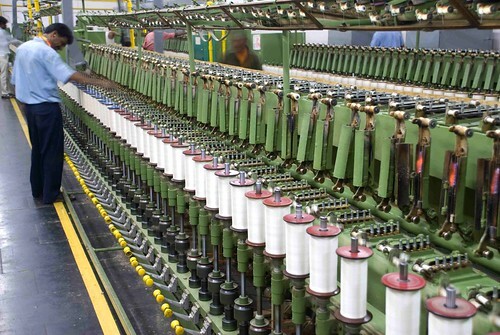 Ever wondered what does it take or what is it like to do business in India? Interested in listening to industry captains who experienced India or who brought a bit of India in Belgium? Wait no more, here is an opportunity to meet them! Them? Prof. Venkat Subramanian, professor at Vlerick school. So come and join us on June 5th, in Vlerick Ghent. And if you have any question, feel free to contact me! + feel free to invite whoever interested you want, it’s open to everyone! + but we would be glad if you could send an email confirming your presence (for the caterer), thanks! See you on June 5th! 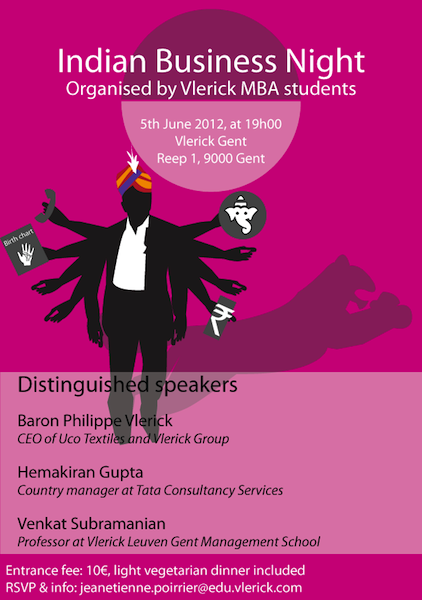 After some days and nights of hard work :-), we are proud to announce the first Indian Evening at Vlerick Ghent, on June 5th, 2012! The idea of this evening is to give Vlerick students (and any other people interested) insights on India, its businesses and the opportunities future businessmen will find in India. An interesting perspective would be to hear opinions of business leaders on these topics as well as their stories on doing business with / in Belgium and, more broadly, Europe. More info will follow soon. But be sure to save the date! June 5th, 2012, at around 18.00! 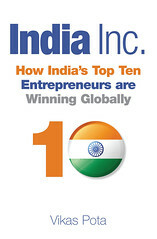 Photo credits (edited on March 12, 2012): Textile Industry, Raipur, Chhattisgarh (all rights reserved) by Ice Cubes and India Inc: How India’s Top Ten Entrepreneurs are Winning Globally – book cover (all rights reserved) by Vikas Pota on Flickr (the book).